The thought of using international calling and data roaming charges is scary for most. However, it does not need to be the case. At Wraptel, we offer our clients unprecedented cost-effective international roaming fees, regardless of whether your travels abroad are for business or personal purposes. In this post, we provide a detailed explanation of the data fees we have on offer and how they can benefit you in multiple ways. 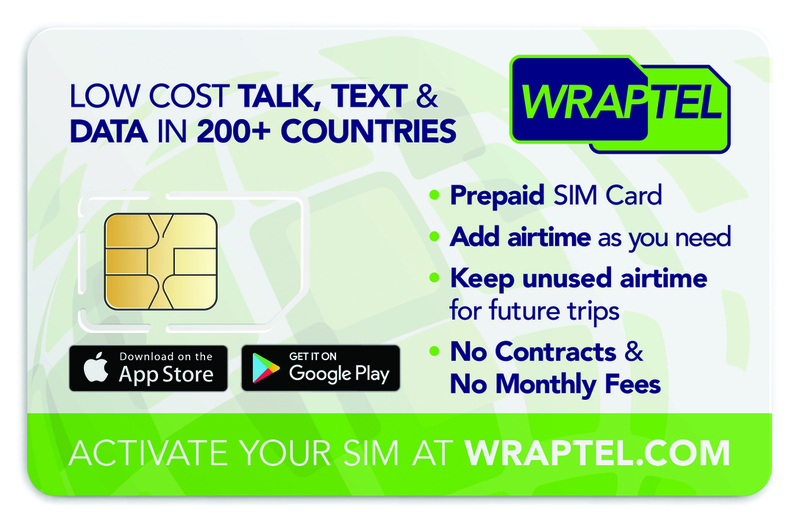 Wraptel’s international calling is available in over 200 countries, providing you with exceptional savings and convenient use of voice call and data roaming. Most data roaming charges offered by other companies are provided according to megabytes or MBs. We, on the other hand, only draw on your airtime or charge according to 10 kb incremental basis. The key difference in this approach is that an incremental kilobyte rate measurement enables a more accurate representation of the data you use for every data session. In the other case, data roaming charge is often rounded up to the nearest MB; that means irrespective of how much data you use, there is going to be an additional charge placed for a data session. Such kind of a rate measurement is not only unfair, but also unrealistic. Checking an important business email, or posting a post on a social media account does not always mean using up entire MBs; this is not how data roaming works, and it should not be charged accordingly either. A single megabyte is equivalent to 1000 kilobytes. In a data session, any internet activity whether it is opening an app, surfing an internet browser, or checking an email corresponds with the number of kilobits that you use. When you are charged according to megabytes, an internet activity that uses 900 KB or 200 KB gets charged the same rate. This is because in both of these scenarios, the data usage is rounded to the nearest MB. Say you have four data sessions and in each you have used less than 1 megabyte of data. If you are charged according to the nearest megabyte for each session, you will incur a cost of 60 cents. However, under Wraptel’s 10 KB roaming charges, you will incur half of the cost, or 30 cents. The figure below illustrates this scenario and how Wraptel’s data roaming charges can help you save costs. This example shows only 4 data sessions. Imagine the savings over the course of a day or over the length of your whole trip! Using Wraptel’s data plan, you have the advantage of using data only when you need it most. You will not have to worry about being charged by the nearest MB for checking one email or a social media notification. To order a Free International SIM Card click here. For iPhone users, check to see which iPhone models can use international SIM cards.